Venezuelan President Nicolas Maduro announced Tuesday he is expelling two top U.S. diplomats in response to U.S. sanctions. Maduro declared Charge d'Affaires Todd Robinson and Consul General Brian Naranjo persona non grata and gave them 48 hours to leave the country, claiming they'd conspired against Venezuela. "We'll present proof to the country of the military, economic and political conspiracy from the embassy's charge d'affaires. Enough of conspiracies. It seems impossible to have respectful relations with the U.S. government," Maduro said. 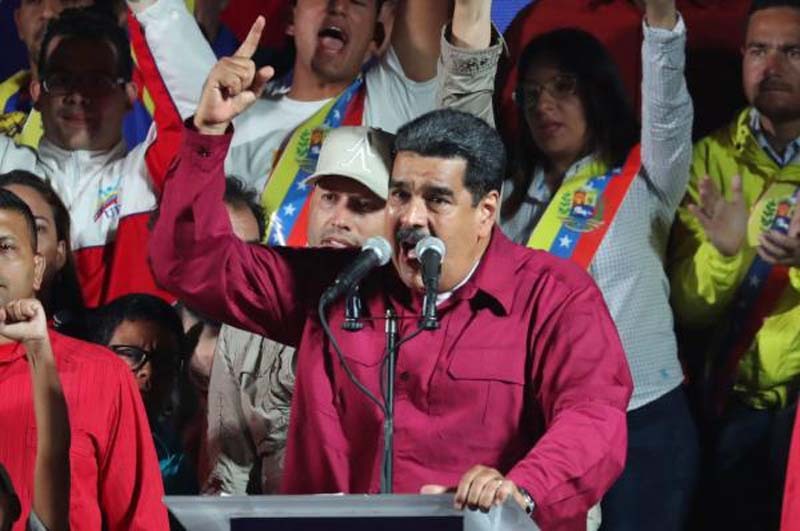 The decision follows the United States' issued sanctions against Venezuela for holding what it deemed a "sham" election, in which Maduro won another term as president. U.S. President Donald Trump blocked U.S. companies or citizens from buying debt from the Venezuelan government, including the state-owned oil company Petroleos de Venezuela SA. "I say to the government of Donald Trump, I say to the government of the Ku Klux Klan," Maduro said. "I say, not with sanctions, not with threats, you didn't stop the elections. The elections happened. And they were successful ... Venezuela is the victim of a threat never seen before." Maduro was elected to a second six-year term as Venezuela's president on Sunday, winning 68 percent of the vote. The country has faced hyper-inflation and food shortages as well as multiple sanctions from the United States, including measures against four Venezuelans and three South Florida companies with ties to Venezuela issued by the U.S. Treasury Department on Friday.